The Agents Property Auction……..is the answer! www.agentspropertyauction.com was created by Auctioneer Richard Francis MNAVA. 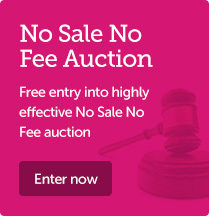 With over 25 years experience in successful property auctions Richard has seen firsthand, the benefits of selling by auction, to thousands of homeowners. Traditionally auction has been regarded as a means of selling cheap, run down properties and repossessions BUT the real growth over the last few years has been in the popularity of selling residential family homes. It is not all the doom and gloom many are making out, yes, the housing market is price sensitive but it is all about extensively promoting a property to the widest audience possible and creating the appeal. The Agents Property Auction has been devised to allow approved Estate Agents in the North East of England the opportunity to do this. It offers a quick, simple and straight forward method of a selling now, at the best price possible, with the bonus of a non refundable buyer’s deposit. 2018 saw The Agents Property Auction act for many corporate clients, national builders, along with hundreds of private sellers who saw the benefits of selling via The Agents Property Auction. Join in the selling success. In 2018 The Agents Property Auction sold over £59 million of property making them the No 1 Property Auction in the North East. Watch our video – Our goal is to make auctions simple and suitable for everyone! This is the traditional auction where on the fall of the gavel the buyer pays a 10% deposit (subject to a minimum of £3,000) and exchanges contracts immediately. The buyer is legally bound to purchase and you as the seller are legally bound to sell. Completion is within 28 days. No if’s or but’s. This is designed to appeal to the private residential market where, on the fall of the gavel, the buyer places a £3,000 non refundable deposit with The Agents Property Auction and agrees to exchange contracts within 28 days with a further 14 days allowed for completion. 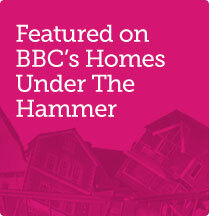 Selling a property is renowned for being stressful due to the uncertainty of the outcome. The Agents Property Auction combats this by offering a, no nonsense and effective method of selling with customer satisfaction being paramount. The monthly property auction allows you to achieve the optimum price with the security of a buyers deposit and agreed timescale. The benefits speak for themselves and if you want to get moving now CALL 0800 028 4776, visit www.agentspropertyauction.com or contact your local Partner Agent. 2. 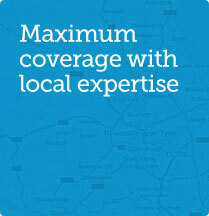 Why consider The Agents Property Auction? In a difficult market is makes sense to sell at auction, here’s why….. Achieving the maximum price is paramount in today’s economic climate. 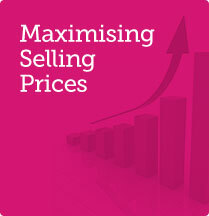 Many properties come onto the market and to sell have to reduce and reduce the price. Auction is the opposite, we start with an attractive price guide to stimulate interest and reach a higher selling price. The Agents Property Auction is a great marketing tool in maximizing the selling price through high profile marketing, inviting serious proceedable buyers to accumulate in one place encouraging direct competition resulting in the best price being achieved for your property. Many sellers actually receive bonus prices for their properties at auction as two or more people battle for the property in the auction room. Best of both worlds, auction will attract the local buyers as well as national and international buyers. The Agents Property Auction is designed to accommodate both private residential buyers as well as appealing to cash rich serious buyers. On the fall of the gavel the sales price is set and non negotiable. Selling by private treaty often results in purchasers trying to renegotiate a price after survey results on a property and in the worse scenario pulling out of the sale. In the current market, “gazundering” is becoming more apparent and this is a situation where a buyer, a few days before the move, calls the Estate Agent and advises that unless the seller is willing to reduce the price, they will pull out of the sale. They are really playing with people’s emotions.